In this article, we are going to show you all about Dinajpur Medical College (DjMC) information. DjMC established in 1992 in Dinajpur district and affiliated with Rajshahi University. DjMC offers five-year MBBS course with the one-year internship. Also, it offers some post graduate degree courses which all under BSMMU. It is under DGHS and curriculum by BMDC. All the graduate of DjMC are eligible for USMLE and PLB examination and all the degree is recognized by World Health Organization. In here, you will have a concept about Dinajpur Medical Collage information and Dinajpur Medical College admission Process. DjMC was started functioning on 16 August 1992 in Dinajpur main town occupying a hostel of general government college and “Hamana Bhaban” named privet building. But in 1st July 2000, it was shifted to a new building near Ananda Sagar area. DjMcC was used a temporary medical college hospital but new it started functioning with proper campus and hospital and with an annual intake of 150 students approximately. In here, we have gathered much more information about Dinajpur Medical Collage and Dinajpur Medical Collage admission process. Let’s know further more about it. In addition to Dinajpur Medical Collage information, it has 500-bed large hospitals, 17 operation theaters which 12 are general, 3 daily, 2 emergencies and 1 labour. It can accommodate over 100 patients and there are many new departments are opening very soon. There are 2 hostels for both male and female student and also there are 2 hostels for intern doctors, one for male and another for female doctors. Moreover, in DjMC campus, there are a number of quarters and guest houses for teachers, staff, and guests. 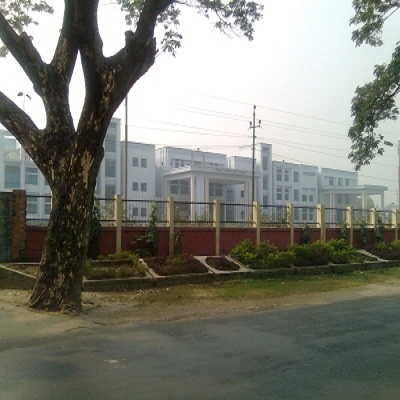 Dinajpur Medical College offers you listed below undergraduate and postgraduate degrees. Dinajpur Medical College admission process is starting with the admission test in MCQ method. Every year DjMC admits 150 students on the MBBS program. Students are selected on their merits and all the admission exam is placed in all the government colleges by Ministry of health. All the candidate should need their HSC and SSC examination certificate. Moreover, their subjects should consider chemistry, biology, and physics in both exams. Besides Bangladeshi students, foreign students get admission in respective countries through the Embassy of Bangladesh. To knowing more information about Dinajpur Medical Collage admission process, contact on these addresses. All the exam placed and results, and degree offered by Rajshahi University. DjMC also listed in IMED. So that is all about Dinajpur Medical Collage information and Dinajpur Medical Collage admission process, hope you have got all the information you need. Thanks for visiting www.bdeducationinfo.com. This entry was posted in Medical College, Public Medical College and tagged DjMC admission bd by admin. Bookmark the permalink.